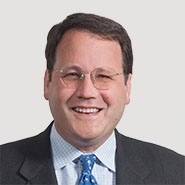 On Wednesday, June 6th, Partner Rolin Bissell will be participating in a panel discussion entitled, "Corwin, Appraisal and Alternative Entity Developments: Updates That Transactional Lawyers and Litigators Need To Know, A View From the Bench and Bar." The program, sponsored by the Corporation Law Council of the Corporation Law Section of the Delaware State Bar Association, will take place at the DSBA headquarters from 1:00 to 5:15 PM. Lunch will be served prior to the program. The panel plans to discuss the Corwin doctrine, appraisal, and recent statutory and case law developments regarding unincorporated entities, including pending amendments to permit series of limited liability companies. Mr. Bissell will be joined on the panel by The Honorable J. Travis Laster of the Court of Chancery of the State of Delaware and a number of distinguished practitioners: Megan Ward Cascio, Esquire of Morris Nichols Arsht & Tunnell LLP; Allison L. Land, Esquire of Skadden Arps Slate Meagher & Flom LLP; Albert H. Manwaring IV, Esquire of Morris James LLP; Marcus E. Montejo, Esquire of Pricket Jones & Elliott, P.A. ; and Trevor S. Norwitz, Esquire of Wachtell, Lipton, Rosen & Katz. The panel will be moderated by Ellisa Opstbaum Habbart, Esquire of The Delaware Counsel Group LLP and Lewis H. Lazarus, Esquire of Morris James LLP.